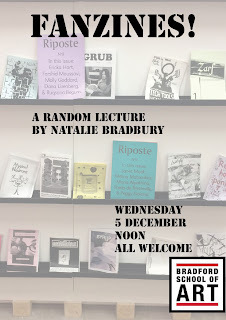 My next lecture in Bradford School of Art's Random Lecture series will take place on Wednesday 5 December at 12 noon in the Dye House Gallery; all welcome. 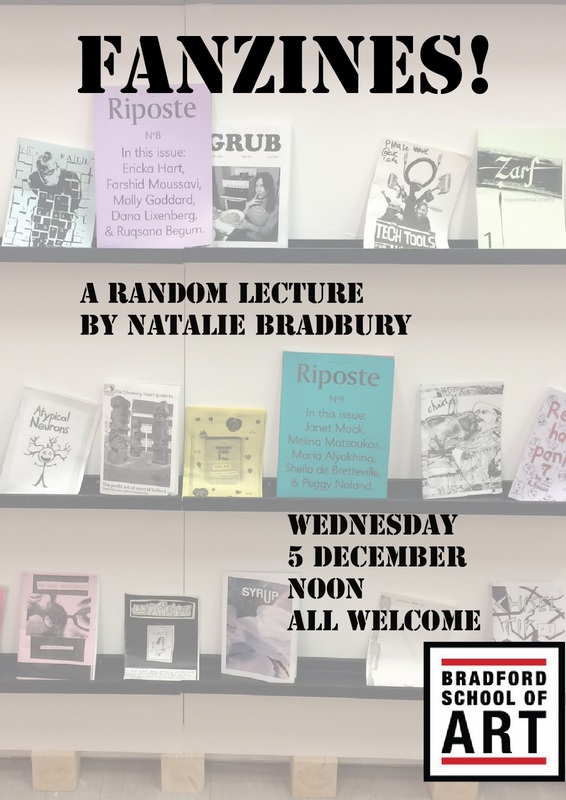 I will be giving a personal perspective on fanzines, drawing on material from my own collection of 'zines and printed ephemera, and my experiences of publishing the Shrieking Violet. I will discuss the different forms fanzines have taken, in terms of style and content, and their ongoing evolution, from small, often rough-and-ready self-published magazines aimed at special interest communities such as football supporters, music fans, vegans and anarchists, to hyperlocal examinations of cities and neighbourhoods, and city critiques, to showcases for the work of artists, photographers and poets, to sleek, well-designed objects, often holding much in common with artists' books, to their 'mainstreaming' and the co-option and collecting of fanzines by institutions such as universities and art galleries. 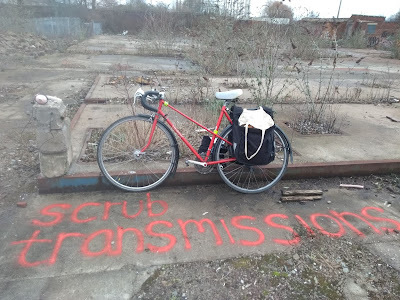 I will conclude by looking at the 'zine in the age of the internet, and the ways in which the internet supports 'zine-making by creating communities and increased opportunities for their distribution and consumption.